In 1801, Lockwood, a wealthy man from the South of England who is seeking peace and recuperation, rents Thrushcross Grange in Yorkshire. 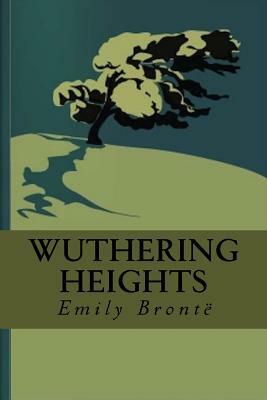 He visits his landlord, Heathcliff, who lives in a remote moorland farmhouse, Wuthering Heights. There Lockwood finds an odd assemblage: Heathcliff seems to be a gentleman, but his manners are uncouth; the reserved mistress of the house is in her mid-teens; and a young man who seems to be a member of the family, yet dresses and speaks as if he is a servant. Snowed in, Lockwood is grudgingly allowed to stay and is shown to a bedchamber where he notices books and graffiti left by a former inhabitant named Catherine. He falls asleep and has a nightmare in which he sees the ghostly Catherine trying to enter through the window. He cries out in fear, rousing Heathcliff, who rushes into the room. Lockwood is convinced that what he saw was real. Heathcliff, believing Lockwood to be right, examines the window and opens it, hoping to allow Catherine's spirit to enter. When nothing happens, Heathcliff shows Lockwood to his own bedroom and returns to keep watch at the window. At sunrise Heathcliff escorts Lockwood back to Thrushcross Grange. Lockwood asks the housekeeper, Nelly Dean, about the family at Wuthering Heights, and she tells him the tale. Emily Jane Bronte, was an English novelist and poet who is best known for her only novel, Wuthering Heights, now considered a classic of English literature. Emily was the third eldest of the four surviving Bronte siblings, between the youngest Anne and her brother Branwell. She wrote under the pen name Ellis Bell.